It's been a long and tiring day and my face hurts more than usual. Mam’s dementia care home is a peaceful place in comparison. My brother was supposed to go and see my mother and I hope he stayed with her a fair while. The doubts remain. Am I the only one who goes to visit her and stay with her for any length of time? It’s costing me a small fortune in petrol and my brother gives me a sub now and then. He knows full well that it’s highly unlikely he’ll get his back unless I win the lottery. Nonetheless, he never pursues me. Time is his enemy as well and he is a decent and generous person, which I have to remind myself of when he suddenly goes off on holiday. I hate calling it my night off, but that’s what it is. 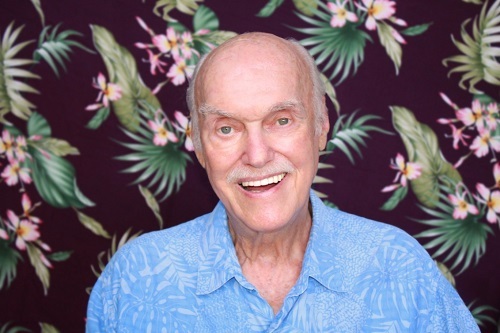 Being a carer can sometimes feel like an obligation, but, as Baba Ram Dass once said, You do what your human heart says because it hurts too much to do nothing. A list of things need to be done before I can relax. I drive straight from work to the cemetery to check on my father’s stone. I still have artificial flowers there now to save time. There is also the fact that I am not very good at arranging flowers in the pots. Add to that, no-one has ever offered to do it, other than my cousin who loves her aunty. I am the family mug. Every family has one. I envy those who had the common sense to only have a recess for one pot of flowers. Matching two pots is a challenge beyond me. I tidied and washed the stone, giving my father a report on how Mam is doing right now. In times of desperation I ask, beseech Dad, to come and fetch Mam to be with him. Pathetic, I know. Death versus a living death? As I write above, this evening is my night off. I would normally wash clothes and hang them on the line in hope of good weather the following day. Knowing I was going out for the second time in about three, four ... or is it five years, I washed the clothes last night. They were still damp when I brought them in earlier and the items are hung up all over the house in hope that they’ll be dry enough to iron tomorrow evening. So, this evening, the first time in a long never, I went for supper with two friends at a local hotel. The company was sparkling and full of fun and laughter. They are the type of people who love to laugh. The food was less pleasurable. Who cares. I need my human anchors as well. The hotel we had chosen for convenience is near the dementia home. Afterwards, we went for a brief walk to enjoy the fresh air and I could see the home which was no more than half a mile away, each window brightly lit. I could imagine Mam either asleep in her bed, solitary and wonder where she was as she must also do. I have to admit that there have been times over the past few months when I arrived hoping that Mam was asleep because I did not have the strength to lie once more and could not stand to see the desperation in her eyes. In our parting there are frequently tears and then the difficulty and lies of the parting. The last time that she had been asleep I went and sat in a chair by her bed watching her and doodling pointlessly on my iPad. How can you leave someone teetering around an abyss having lost most of the references that constructed her secure world? A carer had come in and asked whether I was alright. She had heard that I was unwell. I remember that when Mam was recently taken unwell with a severe urinary tract infection (UTI) they were thinking about taking her to hospital. I reached a visible crisis point. Dementia patients hate change. They seem desperate to hold on to anything that seems of the slightest familiarity. Mam would wake up in hospital every morning not knowing where she was, disturbed by the noise not know why her leg was in a splint. And then there are the phone calls. Did I tell you I hate my phone? Not all types of dementia undermine and cause the memory loss early on. I think that it is only Alzheimer’s Disease that damages memory in its early stages. I was holding Mam’s hand as she watched a nature programme on my iPad and listening to one of the carer workers having a really good conversation with Margaret wishing to know when she had met her husband. Margaret was smiling. During the War, she responded. Who was in charge in the house? I didn't hear the answer to that. Your social group falls away when you are a family carer. One by one. I think it’s the visible damage they can see. Carers are victims of these illnesses as well. The staff of the care home become your only family. I am not sure I mentioned this before about my friend, George's brother-in-law. He transferred from caring for geriatric patients to dementia care and insists it's the best thing he ever did. He loves his job. He says that each visitor ends up doing more than just visiting their relative, but visiting everyone. In understaffed care homes, they also become essential allies for the carers. I have learned that many of the regular visitors in the afternoons have sat with Mam when she has been upset and kept her company. And so, like those visitors to Mam’s care home I am always looking to pay it forward. By making coffees and teas and looking after and conversing with residents. I choose not to be an expert on my mother’s illness. I know that Mam will deteriorate mentally until she won’t know who I am. There is more information out there these days - The Alzheimer’s Society and Dementia UK, just two. More information would probably not improve the quality of my day. I choose to support my Mum by answering her emotional needs and holding her hand. Telling plenty and plenty of lies about going shopping tomorrow and where shall we go for a ride in the car this weekend? No matter how bloody complex the situation, I find that holding hands seems to go a long way to answering most problems. I don’t know if you’ve noticed this with people who believe that they are a better class than you. Their illness or care needs seem to be different and more complex than yours. A better class of illness? I’m common and I don’t care. You can’t be posh about dementia.